Flourless Black Forest Chocolate Cake - Let the Baking Begin! 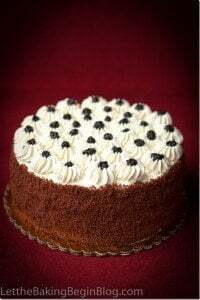 Fudgy Flourless Chocolate Cake topped with Whipped Cream & Boozy Cherries, this version of Black Forest Cake will make your tastebuds sing! My love for Flourless Chocolate Cake goes way, way back. By way, way back, I mean 4 years back. My younger daughter was rushed to the emergency room and then the same night she was admitted to the hospital. It was dinner time and the hospital nurses offered us hospital dinner. At first I was going to politely decline, you know, my kid is in the hospital food is the last thing I am thinking about, besides how good could a hospital food be anyway, but then I said “sure”. I don’t remember what entree they brought, but I do remember the funny looking cupcake, or muffin, or cupcake without the frosting thing sitting on the side of the tray. It didn’t look too appealing, but I tried it anyway. I had never had anything like that before. As I took a bite, it felt like a muffin, but a second later it melted into a something that felt like a truffle. Deeeviiiine! With each bite, I wanted to close my eyes and devour it slowly, enjoying every single crumb of that cake. Who would’ve known that hospitals can make stuff like that? Not me, that’s for sure! That was my first introduction to Flourless Chocolate Cake. After that, I knew that I had to make Flourless Chocolate Cake myself. Visiting a local Boulangerie several days ago with my sister, she ordered a gluten free black forest cake. She let me have a bite and it was so good! I mean, not really an original idea to combine the flourless chocolate cake with whipped cream & alcohol soaked cherries, but wow! just wow! So I made a cake similar to that one in combination of flavors. It’s dense base of flourless chocolate cake is balanced out with slightly sweetened Chantilly cream and tart cherries. Truly wonderful combination! You should give this cake a try! It’s not too labor intensive, it does not need to sit in the fridge to soak in the flavors like other cakes, because it’s good as soon as you make it! In a heatproof bowl set over a pot of simmering water, melt 1 pound chocolate and 1/2 cup butter until melted. Meanwhile, in a bowl of a mixer fitted with whisk attachment whip egg whites until stiff peaks, about 2 minutes. Transfer egg whites to a large mixing bowl. In the bowl of the mixer whip egg yolks for 30 seconds on high with a whisk attachment, gradually add the sugar and continue whipping until pale in color and the mixture flows in a ribbon when the whisk is raised. Add egg yolk mixture into chocolate in 2 additions, carefully folding it in after each. Add egg white mixture in halves to the chocolate mixture and carefully fold it in until no streaks of egg whites are seen. Pour the batter into a 9 inch spring pan that has been lined with parchment paper & sprayed with non stick cooking spray. Put the wet cake strip around the pan. Bake in preheated to 350F oven, for 30-45 minutes, or until a toothpick inserted in the middle comes out with only several crumbs. Once baked, run a thin knife around the inside of the baking pan and allow to cool completely. Meanwhile, drain cherries and measure out 1 cup. 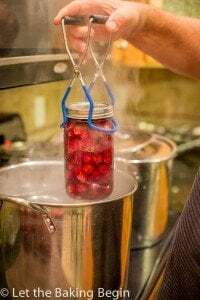 Add 3 tablespoons of Grand Marnier and stir to coat the cherries, leave to soak in the alcohol. In a bowl of a mixer, combine heavy cream, powdered sugar & vanilla extract. Whip until stiff peaks. Drain the cherries from the Grand Marnier. Pour the liquid all over the cake. Cover the cake with whipped cream. Place cherries everywhere over the cake. Fit a pastry bag with a decorative tip. Fill the bag with the rest of whip cream. Pipe decor on top of the cake to your liking. Then scrape it off because you don’t like it, put in a star tip and pipe on top of the cake again. Just kidding, do it right the first time, unlike me. To add shavings of chocolate to the top of the cake. Heat the chocolate bar in 5 second interval for 20-25 seconds. The bar should not be warm at all. Using a vegetable peeler, go along the thin side of the bar and you will get chocolate curls. You can do it right over the cake, or do it over a paper towel then transfer only the best ones to the top cake top. Now either eat the cake or put it in the fridge until you will 🙂 That is it, folks! 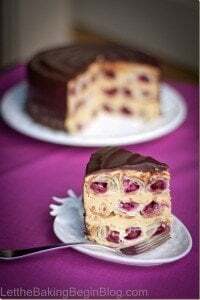 Polish Cake Recipe – A combination of soft shortbread cake layers, tart jam, crunchy meringue, and roasted walnuts. Peaches and Cream Layer Cake – Soft yellow sponge cake with sweet cream and peaches. 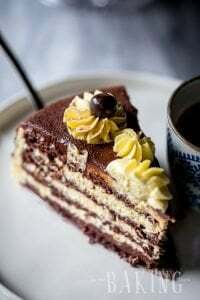 Hazelnut Meringue Nutella Cake – Layers of Chocolate Poppyseed Cake, Hazelnut Meringue and Nutella Custard Buttercream. 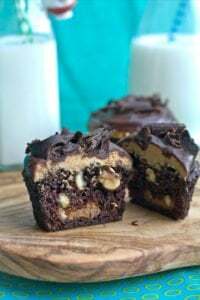 OMG this recipe is absolutely amazing!!! Thank you so much for sharing!! I made this today for a baby shower (the pregnant lady is gluten-free), and everyone loved it! I made just the cake and Chantilly cream parts and left out the cherries, and it turned out amazing, even though I cooked it a little bit too long. And it looked beautiful! Thank you; this recipe is absolutely a keeper! That’s great Katherine! Thanks for taking the time to share your feedback! Wow, wow! Marina, that looks amazing!!! Just went back to GF and this cake will completely satisfy my cravings! I don’t bake cakes very often (read never) and not sure what you mean by a wet strip–is this something I can buy anywhere or at a special store? wow that looks absolutely amazing!!!! Oh, I wish I could have it with my cup of coffee right now! I love the idea of a flourless cake. I actually got the ingredients for one specific recipe but waited too long and then decided to lay off cakes for a while. One of those days I will make it! Until then I will enjoy looking at yours! 🙂 Thanks for commenting Sharon!